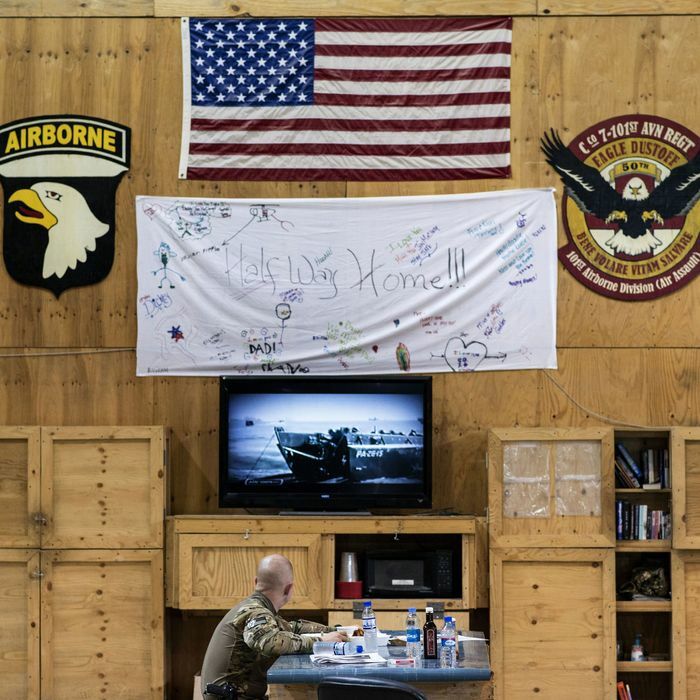 On Monday afternoon, a motorcycle exploded near Bagram Air Base in Afghanistan, killing six U.S. soldiers and injuring several other U.S. and Afghan soldiers. The Taliban, which has been resurging lately, claimed responsibility for the attack. A suicide bomber had been riding the bike. NYPD detective Joseph Lemm was among those killed. He was on his second deployment to Afghanistan with the National Guard, after previously serving in Iraq. The 45-year-old had been with the New York Police Department for 15 years. He, his wife, and their two children lived in Westchester County. “Detective Joseph Lemm epitomized the selflessness we can only strive for: putting his country and city first,” police commissioner Bill Bratton said in a statement on Monday. Before heading to Afghanistan, Lemm worked on the Bronx warrant squad. According to the New York Daily News, he is the third NYPD officer who has died while serving in Iraq or Afghanistan. It was the deadliest attack for U.S. soldiers based in Afghanistan since 2012, per Slate. The Financial Times adds that "Defense experts say the advance of the Taliban in areas such as Helmand underscores the limitations of the Afghan security forces, which suffers poor logistics and a lack of vital air power of their own." "The United States condemns this cowardly attack on members of the U.S. and Afghan forces, and we remain committed to supporting the Afghan people and their government," the White House said in a statement after the attack. "We will continue to work together to promote peace and stability in Afghanistan, just as we will not relent in our mission to counter the threat of terrorism that plagues the region."